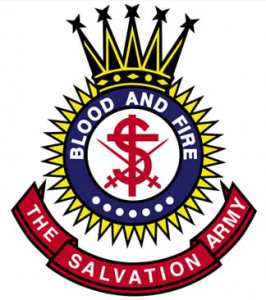 Salvation Army Soundclash | Unofficial Britain. 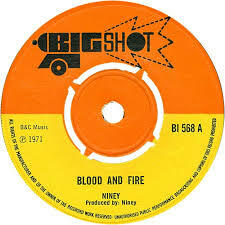 I first saw the flyer for the Salvation Army Soundclash in a Clive Vale launderette. It was on the table next to an old copy of Now magazine. What caught my eye was the way both the name of the event – “Joyful 2” – and the attractions vying for attention on the leaflet (“Brass”, “Choral”) suggested one of the posters for old skool raves (“25 years of Fabio & Grooverider!”) that can sometimes be seen clinging onto lamp-posts on the roundabout at junction 3 of the M2. The flyer’s natty central brass motif and pun on the name of a Dutch town (which seemed to reflect an unexpectedly playful approach to the reputation for censoriousness which is both the Salvation Army’s calling card and the cross the organisation has to bear in terms of wider public perceptions) were just the icing on the papery cake. 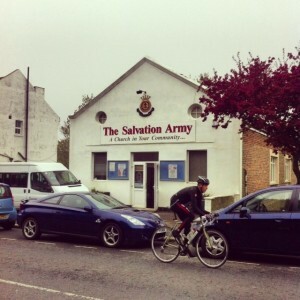 By 7.10pm on a rainy May Bank Holiday Saturday, the Salvation Army Hall on Old London Road in the roughneck Hastings enclave of Ore was packed out with older couples and families with young children. The genial, neatly-bearded Dutch band-master first (with the help of a translator) satisfied visitors’ curiosity as to how “Joyful 1” might have gone by referring to the previous year’s event – which had seen a touring party from Hastings receive a warm welcome from the people of Goes – and then diplomatically expressed great satisfaction with the fish ‘n’ chips Dutch visitors had enjoyed on the seafront earlier in the day. After a short interlude for bi-lingual prayers, the Hastings band-master took the microphone and explained that though both the bands arrayed on opposite sides of the stage had practiced extensively on their own, today had been the first chance for them to rehearse together. His apprehensive look on proclaiming the results of their endeavour would be “fun” suggested fans of occasional dissonance might be in for a treat, and as the opening two euphonium version of John Denver’s ‘Perhaps Love’ cranked and wheezed somewhat unsteadily into life, the limitations as well as the possibilities of inter-continental musical collaboration were there for all to hear. 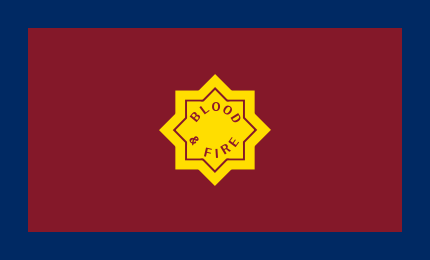 At this moment, the revelation that both the Salvation Army’s flag and crest are designed around a phrase – ‘Blood and Fire’ – familiar to reggae fans as Niney The Observer’s finest moment (and subsequently the name of arguably the greatest of all nineties boutique CD reissue labels) might all too easily have become the jumping off point for a bad stand-up comedy routine invoking different approaches to a) tambourine-based percussion and b) temperance. As it happens, William Booth’s Salvationist inheritors and Niney (so nicknamed after he lost a thumb in a workshop accident) The Observer share a good deal more common ground than might initially be imagined. And not just because both have in some ways sung from equivalently eschatological hymn-sheets. The extent to which Jamaican sound-system culture of the 1960‘s and ‘70‘s would provide the template for subsequent developments in dance music – from hip-hop through drum ‘n’ bass to UK garage – has oft been remarked upon. Less widely celebrated has been the role of religious instruction in fostering the rigorous discipline – and donating the instruments – which were the bedrock of the island’s unique musical legacy (although this 6 minute film about the vital contribution the Catholic nuns who taught at the Alpha Boys School made to the history of reggae goes some way to righting that balance). While it may have lacked the virtuosic precision of some of the horn-playing on this excellent compilation of Alpha Boys alumni (including British jazz legend Joe Harriott and the great ska trombonist Don Drummond), the coming together of the Goes and Hastings Temple brass sections also marked the enduring vitality of a proud musical tradition. Salvation Army bands first sprang up with the objective of distracting the unruly crowds which regularly obstructed the preaching of William Booth’s pioneering temperance campaigners in late-Victorian East London (rival ‘Skeleton Armies’ often having been paid to do this by unscrupulous brewers hell-bent on protecting their takings). The need to sweeten the pill of their injunctions to abstemiousness was a factor the Sally Army took into account from the very beginning – adapting contemporary popular songs to their virtuous purposes with the same alacrity and resourcefulness that music hall entertainers brought to applying subversive new twists to the improving parlour poetry of the day. And as the Sussex band-master made a brave attempt to recontextualise the song ‘Let It Go’ from Disney’s Frozen within an explicitly Christian framework, it was clear that this imperative had lost none of its force more than a hundred and twenty years later. 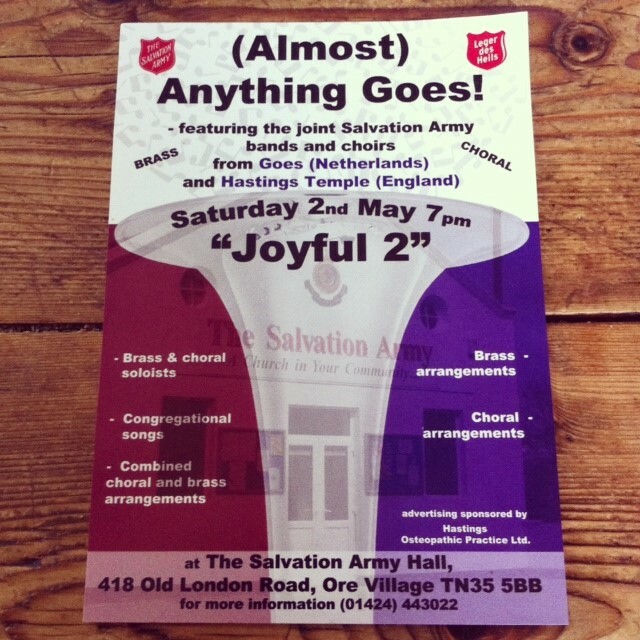 The choral singing element of the performance (the twenty or so vocal participants are formally dubbed “songsters” in Salvationist argot) had been more effectively unified than the brass, and a rousing, upbeat ‘Amazing Grace’ was definitely one of the evening’s musical highlights. While not quite attaining the technical prowess of the Army’s elite International Staff Songsters (ISS for short, though a name-change must surely be overdue due to competition from another less benign paramilitary faith organisation), the two choirs attained levels of Anglo-Dutch harmony not seen since the days of William of Orange. Between songs, the large video screen at the front of the packed hall projected a logo vaguely reminiscent of the graphic at the start of Dad’s Army, with outlines of the UK’s East coast, the English channel and the coast of Northern Europe coloured in the red white and blue which are shared by both British and Dutch national flags. But the musical range of the occasion as a whole – befitting the global reach of the Salvationists themselves – was far wider than that. After the band-master had primed us to expect some hot Latin rhythms, the video screen showed us the drummer, Philip, donning a jaunty illustrative sombrero. As a general rule there are few sounds less captivating than the municipal thud of badly amplified rock drums, but there is actually something very moving – as fans of the Langley Schools Music Project or its unjustly obscure David Bowie-themed tribute Brit-flick Hunky Dory will tell you – about how hard a drummer has to work to keep a large and inchoate group of amateur musicians on track through an overly ambitious arrangement. Returning to the scene of the ensuing explosion of well-meant dissonance the next day to take a picture of the hall in daylight, the peace of the grey Ore Sunday afternoon was once more rent asunder by the cacophony of a last-minute extra rehearsal. 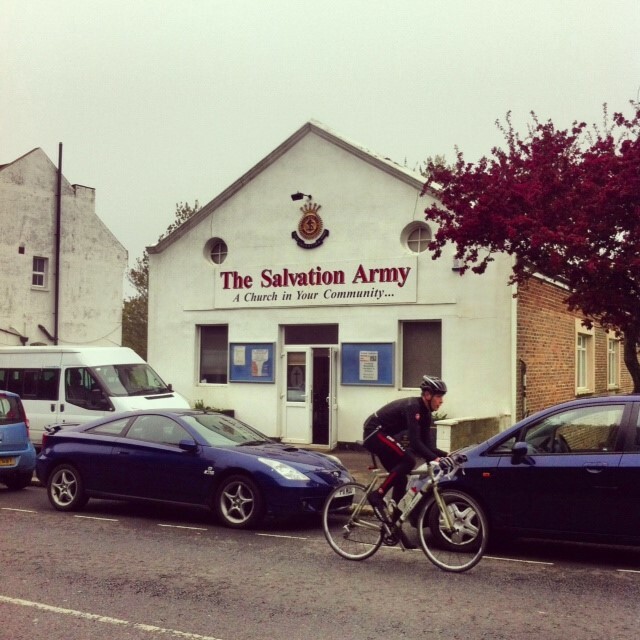 The next stop on the Salvation Army Soundclash itinerary was Rye, and those people are known to be a tough crowd. His recent Resonance FM exploration of the booming subculture of Christian Breakbeats can be heard here.